Who is Dr. K and why is he grinning? Find out tonight by joining us for a fabulous evening of foot-stompin, good-time americana music with three Bay Area bands—Brothers Comatose, Evie Ladin Band, and Skinny Stringband—on stage! 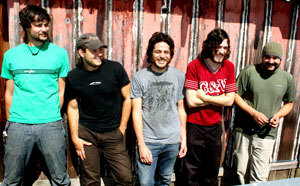 Ben (guitar) and Alex (banjo) Morrison are joined by mandolinist Joe Pacini, bassman Gio Benedetti, and fiddler Philip Brezina in the foot-stompin quintet the Brothers Comatose. Spotlighting numbers from their recent CD, Songs from the Stoop, the bearded Brothers convert the Freight into their own inimitable Living Room Music Party with rhythmic mandolin and guitar, shredded banjo, fiery fiddle and melodic upright bass. Contrary to their moniker, the Brothers Comatose are known for shows that exude a rousing, twang-laden, foot-stomping, sing-along ease that reminds folks that music is collective, to be shared with the good times. 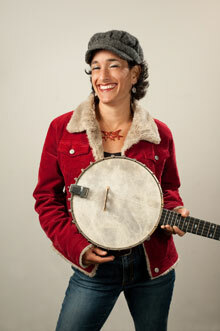 Roots music enthusiasts from the Bay Area and beyond know banjo-playing, clogging songbird Evie Ladin from her 10 years with the great all-gal old-time band, The Stairwell Sisters, from stage antics and body slapping with her husband, Keith Terry, or from any number of other intriguing projects she's involved in. Tonight, join Evie's trio as they open the box on the toe-tapping material featured in her new solo debut CD, Float Downstream, with Dina Maccabee (Real Vocal String Quartet, Japonize Elephants) on violin and Erik Pearson (Crooked Jades, Mushroom) on guitar and banjo. 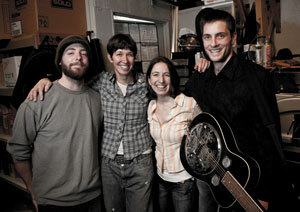 There's no band quite like Skinny Stringband. Not quite bluegrass and hardly strictly folk, they play a mean mix of crooning tunes and catchy covers that keeps its fans on their toes. Singing up to five-part harmonies with original tunes and old favorites alike, "The Skinny" features: Mike McGaraghan on guitar and dobro, Tanya Brown on banjo and 'ukulele, Koralie Hill on fiddle and accordion, Zac Matthews on mandolin and fiddle, and Dave Lockhart on bass.